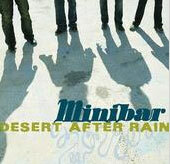 Road Movies is the debut album from alt-rock quartet Minibar. The album's breezy, harmony-laden rock evokes '70s bands like the Eagles and the Rasberries. The Eagles comparison is never more apparent than on the chorus of the title song, when singer Simon Petty sings in a Don Henley croon, as the harmony vocal ("California...") drifts in and out like smoke from a jay at sunrise. Veteran producer T Bone Burnett (Counting Crows, Wallflowers) avoids studio gimmickry and instead lets the subtle accents reveal themselves like whispers in the breeze - a wistful slide guitar here, a softly rhythmic shaker there. Rather than sonic wizardry, the strength lies in simple, effective song craft. Highlights include "Choked Up," "Lost In the Details" and "Holiday From Myself."